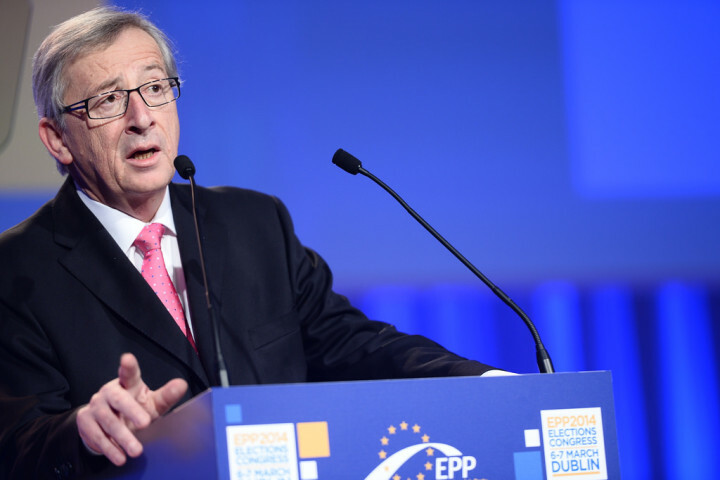 The European Commission’s Jean-Claude Juncker: “There can be no democratic choice against the European treaties.” Photo by the European People’s Party. Now, with more austerity, more fire sales of public assets, greater irrationality than ever in the sphere of economic policy, and massive fresh misanthropy in the realm social policy, the new Memorandum of Understanding only serves to worsen Greece’s Great Depression and to loot Greece’s wealth by vested interests, non-Greek and Greek alike. We must learn from this financial coup. The euro has become the tool of economic and governmental dominance in Europe by a European oligarchy hiding behind the German government, delighted to see Mrs. Merkel doing all the “dirty work” other governments are incapable of undertaking. This Europe only generates violence within nations and between them: mass unemployment, fierce social dumping and insults against the European Periphery that are attributed to Germany’s leadership while parroted by all the “elites,” the Periphery’s not excluded. The European Union has thus become an agent of an extreme right wing ethos and a vehicle for annulling democratic control over production and distribution throughout Europe. It is a dangerous lie to assert that the euro and the EU serve Europeans and shield them from crisis. It is an illusion to believe that Europe’s interests can be protected within the iron cage of the Eurozone’s governance “rules” and within the current Treaties. President Hollande’s and Prime Minister Renzi’s method of behaving like a “model student,” or in fact a “model prisoner,” is a form of surrender that will not even result in clemency. The President of the European Commission, Jean-Claude Juncker, said it clearly: “there can be no democratic choice against the European treaties.” This is the neoliberal adaptation of the “limited sovereignty” doctrine invented by the Soviet leader Brezhnev in 1968. Then, the Soviets crushed the Prague Spring with their tanks. This summer, the EU crushed the Athens Spring with its banks. We are determined to break with this “Europe.” It is the basic condition needed to rebuild cooperation between our peoples and our countries on a new basis. How can we enact policies of redistribution of wealth and of creation of decent jobs, especially for the young, ecological transition and the rebuilding of democracy within the constraints of this EU? We have to escape the inanity and inhumanity of the current European Treaties and remold them in order to shed the straitjacket of neoliberalism, to repeal the Fiscal Compact, and to oppose the TTIP. We live in extraordinary times. We are facing an emergency. Member-states need to have policy space that allows their democracies to breathe and to put forward sensible policies at the member-state’s level, free of fear of a clamp down from an authoritarian Eurogroup dominated by the interests of the strongest among them and of big business, or from an ECB that is used as a steamroller that threatens to flatten an “uncooperative country,” as it happened with Cyprus or Greece. This is our plan A: We shall work in each of our countries, and all together throughout Europe, towards a complete renegotiation of the European Treaties. We commit to engage with the struggle of Europeans everywhere in a campaign of Civil European disobedience toward arbitrary European practices and irrational “rules” until that renegotiation is achieved. Our first task is to end the unaccountability of the Eurogroup. The second task is to end the pretense that the ECB is “apolitical” and “independent,” when it is highly political (of the most toxic form), fully dependent on bankrupt bankers and their political agents, and ready to end democracy at the touch of a button. The majority of governments representing Europe’s oligarchy, and hiding behind Berlin and Frankfurt, also have a plan A: Not to yield to the European people’s demand for democracy and to use brutality to end their resistance. We’ve seen this in Greece last July. Why did they manage to strangle Greece’s democratically elected government? Because they also had a plan B: To eject Greece from the Eurozone in the worst conditions possible by destroying its banking system and putting to death its economy. Facing this blackmail, we also need a plan B of our own to deter the plan B of Europe’s most reactionary and anti-democratic forces. To reinforce our position in the face of their brutal commitment to policies that sacrifice the majority to the interests of a tiny minority. But also to re-assert the simple principle that Europe is about Europeans and that currencies are tools for promoting shared prosperity, not instruments of torture or weapons by which to murder democracy. If the euro cannot be democratized, if they insist on using it to strangle the people, we will rise up, look at them in the eye, and tell them: Do your worst! Your threats don’t scare us. We shall find a way of ensuring that Europeans have a monetary system that works with them, not at their expense. Our Plan A for a democratic Europe, backed with a Plan B which shows the powers-that-be that they cannot terrorize us into submission, is inclusive and aims at appealing to the majority of Europeans. This demands a high level of preparation. Debate will strengthen its technical elements. Many ideas are already on the table: the introduction of parallel payment systems, parallel currencies, digitization of euro transactions, community based exchange systems, the euro exit and transformation of the euro into a common currency. No European nation can work towards its liberation in isolation. Our vision is internationalist. In anticipation of what may happen in Spain, Ireland — and potentially again in Greece, depending on how the political situation evolves — and in France in 2017, we need to work together concretely towards a plan B, taking into account the different characteristics of each country. We therefore propose the convening of an international summit on a plan B for Europe, open to willing citizens, organizations and intellectuals. This conference could take place as early as November 2015. We began the process on Saturday the 12th of September during the Fête de l’Humanité in Paris. Do join us!